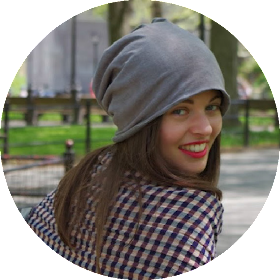 Tacchi a Cavallo: Let’s start blogging! And today I decided to set aside my (blogging) fears and open up myself to such a challenging adventure. Steve Jobs used to say "there is no reason not to follow your heart". After all, we only live once and and we want to spend our time doing what we are passionate about. Am I right? I started this blog as the perfect opportunity for me to try a new and different writing outlet while indulge in my passions. That's why I named it 'Tacchi a Cavallo', to celebrate my love for equestrian fashion and horses, along with my Italian origin. I feel really exited to begin this new journey the date of such a big birthday milestone. If you too are planning to go for blogging and your question is "How do I start a blog?" you will definitely get inspired from the site Blogging Basics 101, a one-stop resource with helpful advices and lots of information. 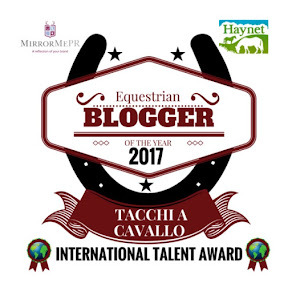 I do hope you will enjoy reading Tacchi a Cavallo. Don’t hesitate to stop and write me about your equestrian experience. Sharing is fun! So happy B-day to me and welcome to TaC! Hi Martina you look great in the picture!!! this is my first time in a blog I was looking for a gift for my wife and I find you!! Where did you bought Red Boots? È la prima volta che scrivo su un blog Marty, lo sai che io è la tecnologia non andiamo a braccetto, ma con te sarà più facile......!!! !